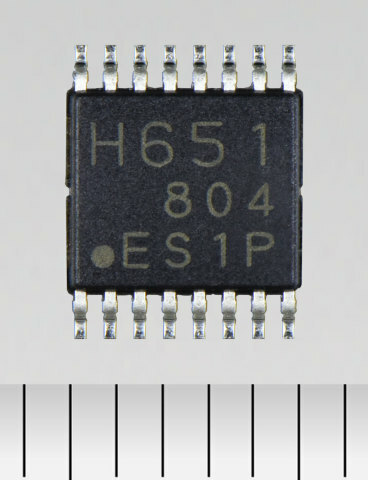 TOKYO--(BUSINESS WIRE)--Toshiba Electronic Devices & Storage Corporation today announced the launch of "TC78H651FNG,” a dual-H-bridge driver IC for DC brushed motors and stepping motors that delivers the low voltage (1.8V) and high current (1.6A) essential for low voltage equipment powered by dry-cell batteries, such as mobile devices, electronic products for the home and USB drives. Sample shipments start today. Toshiba launches a dual-H-bridge driver IC for DC brushed motors and stepping motors that delivers the low voltage (1.8V) and high current (1.6A).